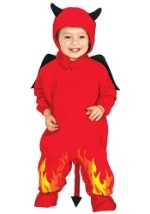 She'll enjoy making mischief in this Devil Girl Toddler costume. 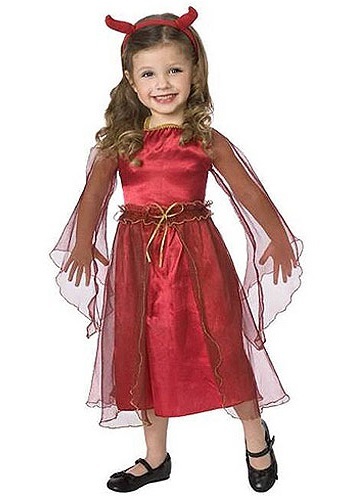 This adorable costume includes a detailed red dress with gold colored trim around the edges and a gold bow in the center. The dress is 100% polyester and has a rippled, transparent layer on the outside which gives it a unique look. 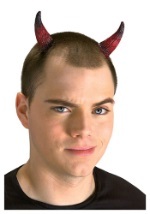 A matching headband with plush horns completes this devilish outfit. 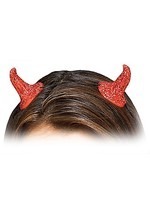 Add a Devil's handbag and ruby slippers for her full devilish look.